The booming bass pouring through my subleased ceiling and rattling the framed mandala hanging on the wall has finally stopped. My new friends who sell sunglasses and bottled drinks displayed on the gate in front of our house have loaded their wares back into the garage and gone home for the night. 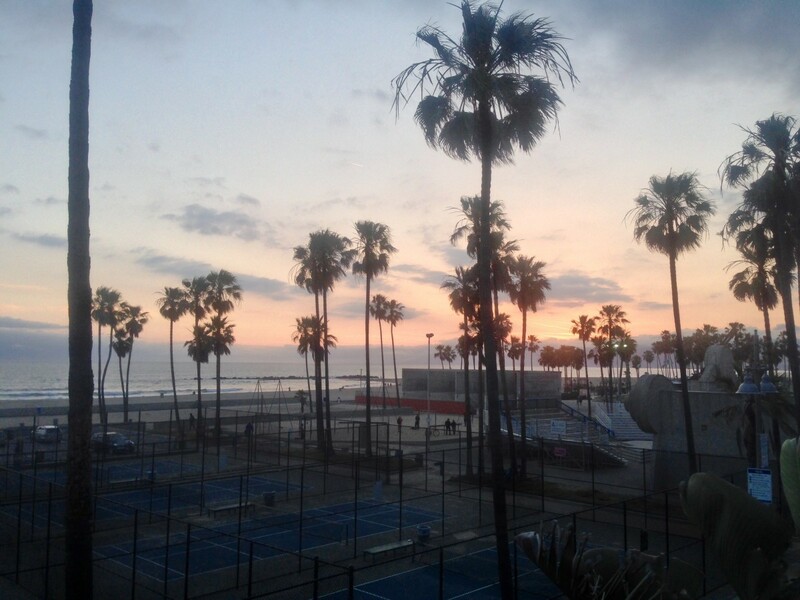 The syncopated plunk of paddle tennis balls in the beachfront court just outside our door dwindled with the setting sun. The throngs of tourists who criss cross wide eyed down our sidewalk all day have emptied back into their cars and freeways, taking souvenirs, sandy shoes, and memories of “freaky Venice” back into their normal lives. And sitting on the balcony I get to call “ours” for the month, I marvel at the beautiful quiet I never realized Venice offered.